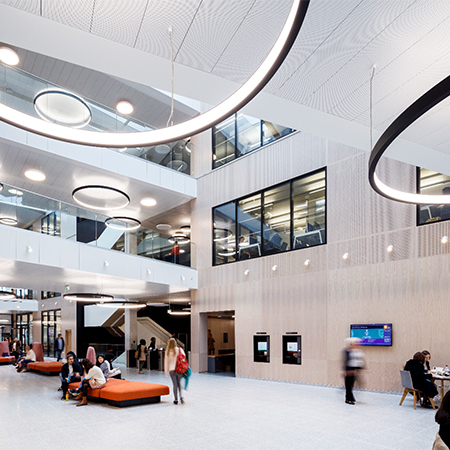 A mix of metal and mineral ceiling and wall systems from Armstrong were specified for a new development at Royal Holloway, University of London, one of the top 30 universities in the UK. 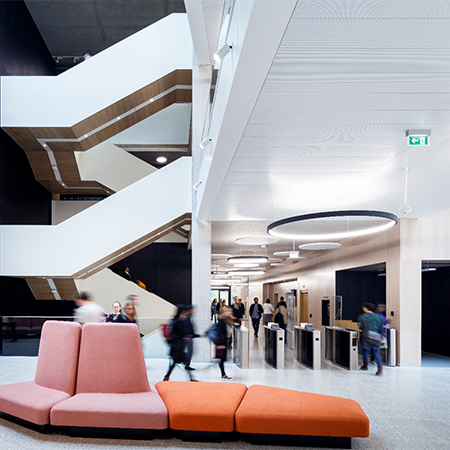 The new BREEAM “Excellent” rated library and student services centre, named the Emily Wilding Davison Building after one of the university’s most famous alumni, is set in a new landscaped events square at the heart of the university’s campus in Egham, Surrey. 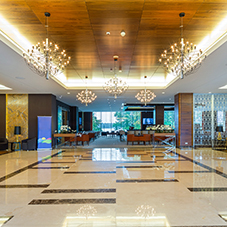 Some 1,000m2 of RAL 9010 Armstrong custom Metal B-H 300 ceiling planks, Metal R-H 200 ceiling tiles and custom Metal W-H 1100 wall panels, as well as Armstrong's Cradle to Cradle® certified Perla OP mineral tiles on a Prelude 15 TL grid were specified by Associated Architects for the £57 million new Davison Building at Royal Holloway. The Metal B-H 300 perforated linear planks with acoustic fleece on a 300mm C-profile were used for the soffit of the triple-height atrium at the core of a series of wings and for three link bridges at first and second floor levels, while the Metal R-H 200 Hook-On tiles and Perla OP mineral tiles (which perform to sound absorption class A and are 85% light reflectant) on a Prelude 15 TL grid feature in offices. 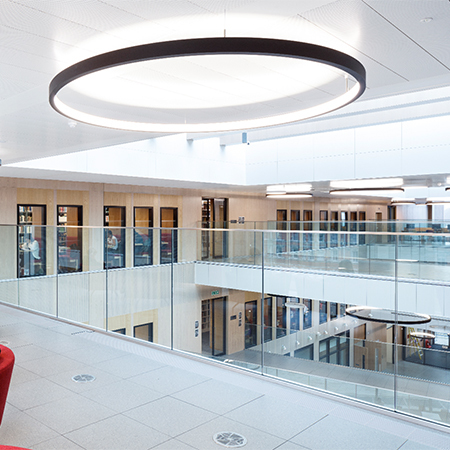 Project architect Joe Belcher said: "We were especially pleased with the way the Armstrong product has been coordinated to align with other features such as the large feature rooflights. The 300mm plank module and edge trims enabled us to ensure the crisp junctions envisaged were achieved. 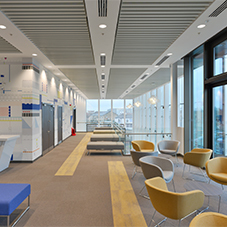 For all these reasons, and the fact that Armstrong is a known and trusted name for our clients, it made sense to specify Armstrong.” The Armstrong ceiling and wall systems were installed by specialist sub-contractor Rosguill Developments for main contractor Osborne. 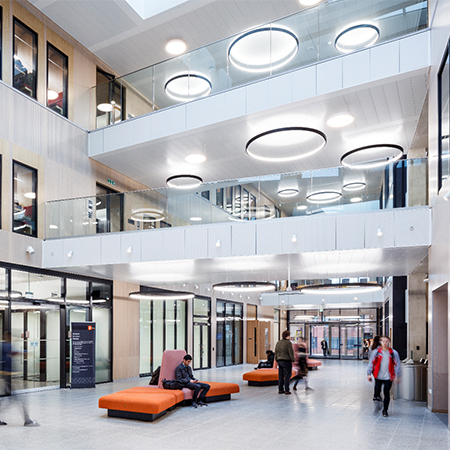 The Davison Building officially opened in October 2017.